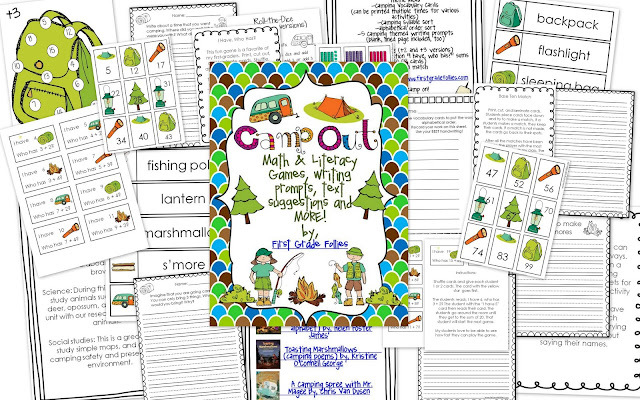 First Grade Follies: Camp Out Fun & A FREEBIE! It's almost summer which means that we're already getting out our camping gear for another fun season! Luckily, our friends share in our love of bonfires, camping, and general roughing-it-but-not-really-roughing-it. They're always willing participants to head out, set up tents, & have a great time! Who says the grownups get to have all the fun? A camping theme would also be so much fun in a classroom! Setting up a tent for reading with sleeping bags or maybe even a hammock? Talking about (or making) camp food like s'mores & hot dogs. Showing the kiddos that it doesn't take a ton of electronics to have a good time! That was the inspiration for my Camp Out packet. 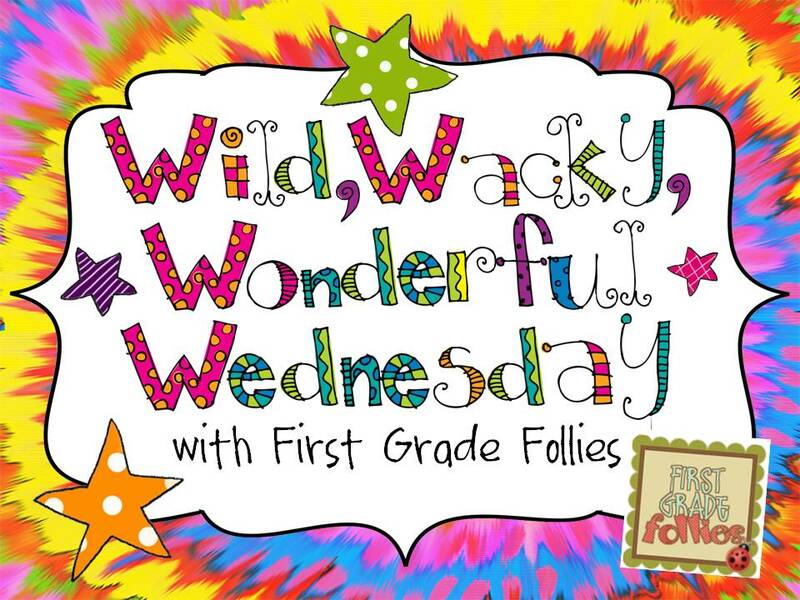 Check it out in my TPT Store! 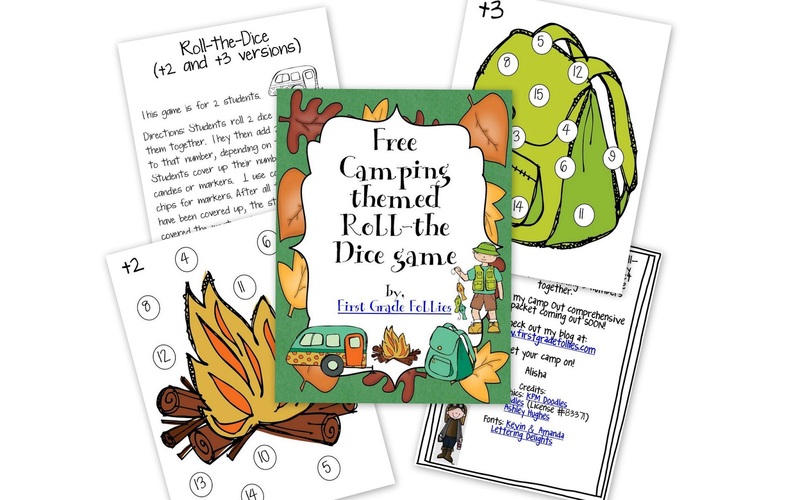 My kiddos LOVE to play roll-the-dice and the addition of having to add 2 or 3 to their total was a great way to practice adding 3 numbers together. Often I would encourage them to grab a dry-erase board and marker to work out their problems. I would also encourage them to use counters if needed. 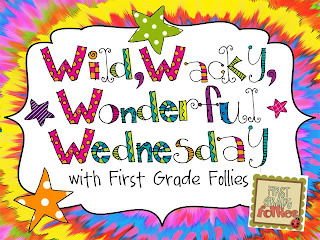 Also: Don't forget about my Wild, Wacky, Wonderful, Wedensday linky party starting this week! It's my first linky party and I"m SO excited for people to join in!